The founder of Shuko-Kai International is Sensei, Kunio Miyake. He was born in 1946. He began teaching martial arts in Japan, while at the same time teaching modern Japanese language and literature at the high school level. 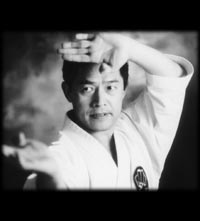 Miyake Sensei came to the United States in 1985, and quickly established his dojo in Westminster, California. He currently holds an official USANKF 8th Degree Black Belt in Karate-do and a 6th Degree Black Belt in Shorinji Aiki Jujitsu. His instructor's licenses were issued by the All-Japan Karate-do Federation and the World Shorinji Kempo Federation. Both of these degrees require the highest caliber of Karate and Jujitsu knowledge. Miyake Sensei was the All-Japan Champion in Shito-Ryu Shuko-Kai in 1982 and the 1988 U.S.A Karate Federation National Champion. He was also selected to be the representative at the All-Japan Martial Arts Demonstration (Budosai) -- a distinctive honor due to the fact that representatives are chosen throughout Japan based on their superior skills in their respective arts. His USANKF Black Belt , which has equally been approved by the U.S. Olympic Committee and is the highest rank in this organization. In addition of being a Member of the Examiners Board (U.S.A.N.K.F), Miyake Sensei also serves in the U.S.A.N.K.F's National Technical Committee as the Chairman of the Kata Committee and the Chief Instructor in the National Kumite Teach Coaching Staff. He also holds Pan American and W.K.F International Referee's Licenses.